Grist mill built in 1845 by John Adams. 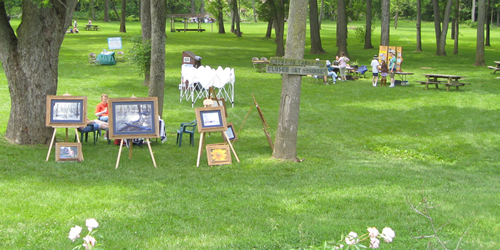 A museum of early rural Americana, open to the public. 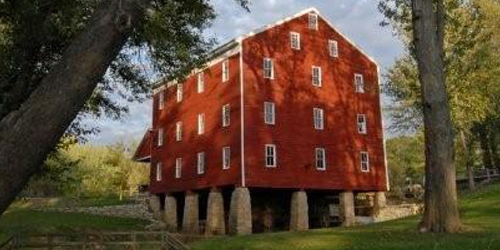 Built in 1845-46, Adams Mill was a grist mill producing assorted grades of flour for more than 100 years. Commercial milling ceased in 1951, but the machinery is still intact and was operational until a 2003 flood. 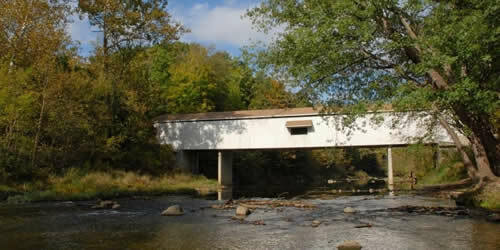 The mill is a prime example of post and beam construction common among agricultural structures in Indiana in the 19th Century. Hand-hewn timbers form the framework held together with shaved wooden pegs. The posts, beams, and joists are made from walnut, oak, and poplar. All of the lumber was harvested locally and cut and shaped on site. John Adams walked along the Wildcat Creek from Lafayette toward what would become the site of Kokomo to find a suitable site for his mill. He chose this location because of the oxbow bend at this point in the creek. The dam was built upstream on the Wildcat. The dam causes water to pool and feeds a millrace that turned turbines to power the mill. Tail-water exiting the mill returns to the creek as the oxbow bends back to the west. 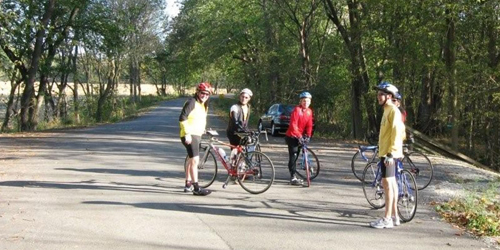 The point of re-entry is almost a mile downstream by creek, but only about 200 yards from the dam site by the millrace.